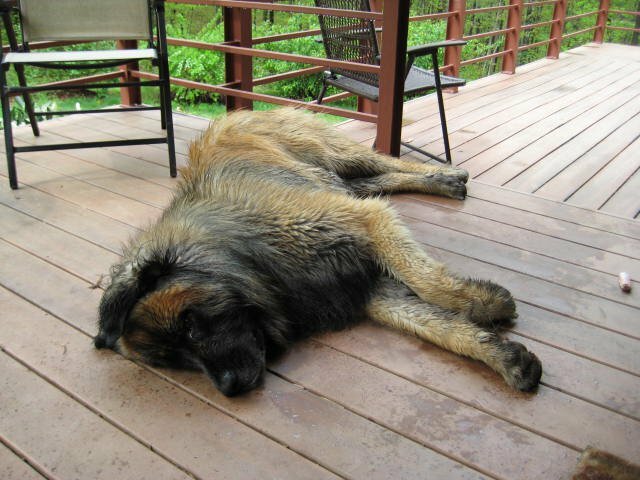 Huck is a big and beautiful young Leonberger who gets better every day. We have been following this dog for two years and really like what he is turning into. Huck was born in Quebec and lives in the foothills of the Shenandoah Mountains in Virginia with a great family. 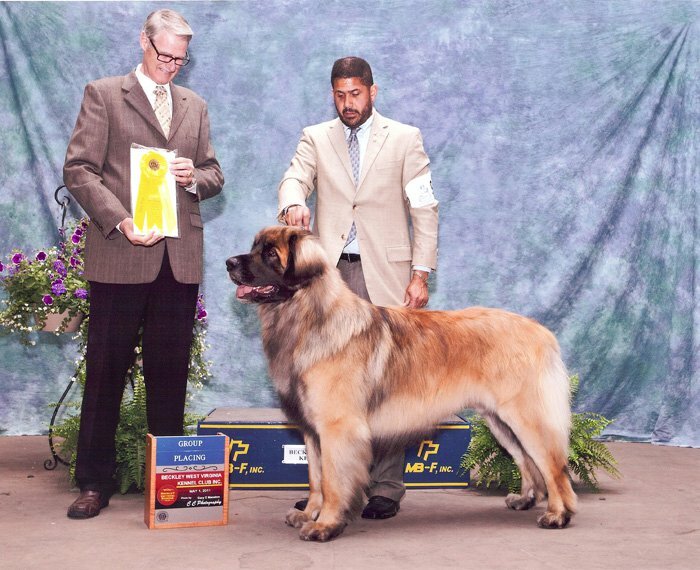 Huck’s human father relates that Huck’s temperament is picture perfect Leonberger! Huck enjoys long swims in the pond near his house followed by a nap on the front porch. Typical Leonberger!! Huck’s father Gulliver, GCh. Starhavens All I Want For Christmas, is a fantastic dog who clearly passed his traits onto his son. 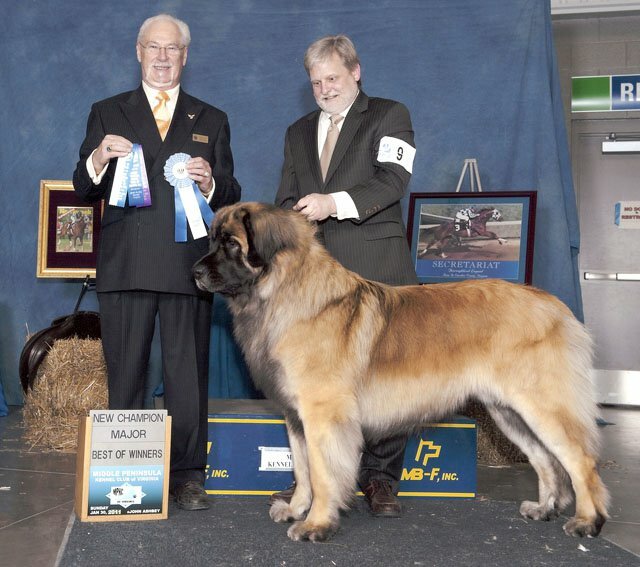 Gulliver won the breed at the Westminster Kennel Club Show in February 2011. 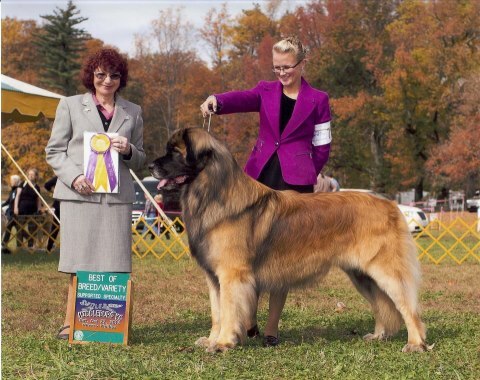 Gulliver is the first Leonberger breed winner of this prestigious dog show. We have bred Boudica to Huck for our “A” Litter. We are keeping this page in place so you can learn a bit about Huck. Please see some of Huck’s records. 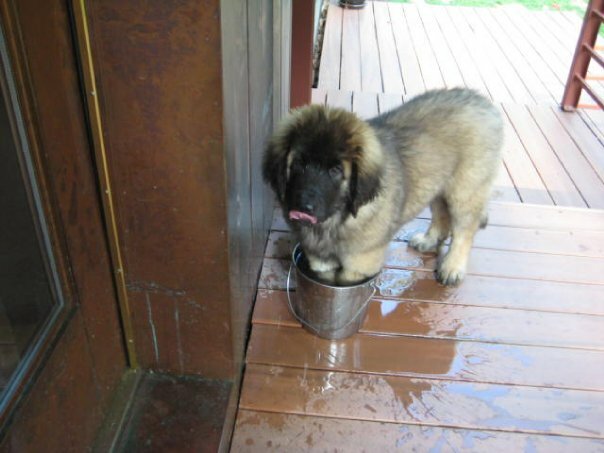 Huck clearly enjoyed water as a puppy…playing in his water bucket! To see Huck’s medical clearances, click here. To see Huck’s pedigree, click here. To learn more about Huck’s breeder, click here.